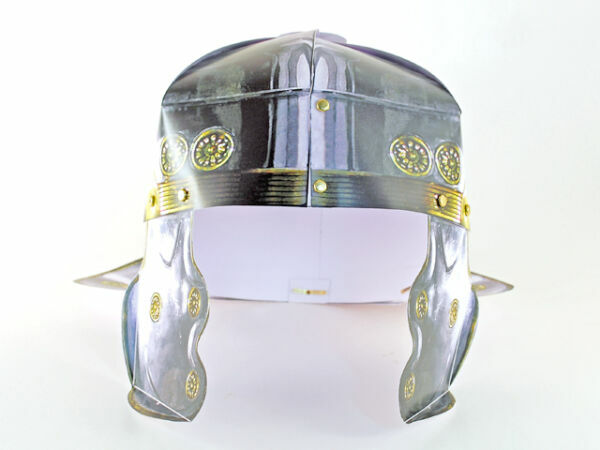 The Roman Three Mens Morris Antique. Are you fascinated by ancient Rome and interested in the games of antiquity? This Roman mill game is just right for you! The soft leather pouch fits into every bag and provides you with the possibility to quickly build up the game for every occasion ? invaluable waiting room, during hiking trips, while visiting friends or during a long travel by car or train? 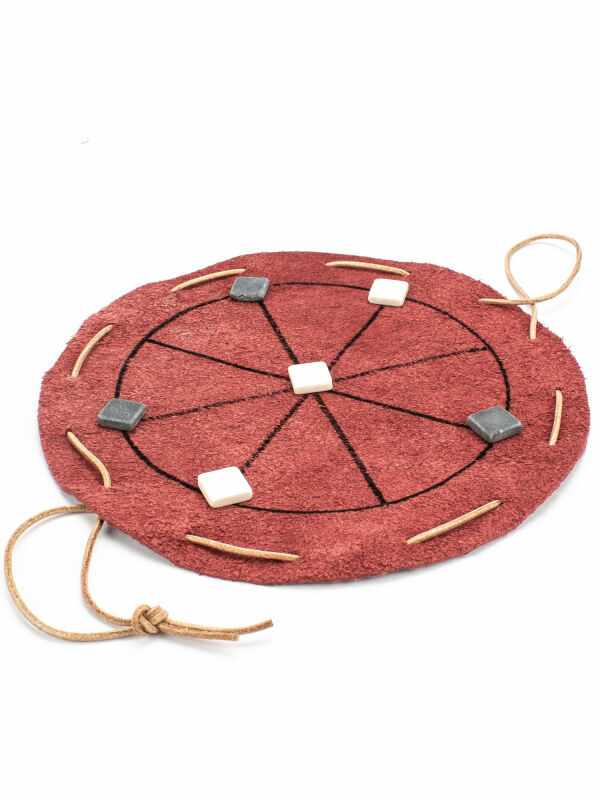 Play Three Mens Morris like the ancient Romans did with gaming tokens made from real marble! Like in your common Three Mens Morris the aim of the game is to form a "mill". Every player receives three marble tokens, which are drawn alternately. The winner is whoever achieves to have three tokens in a row over the center. If you want to be one step ahead in this game, you will need skill and a big portion of luck! 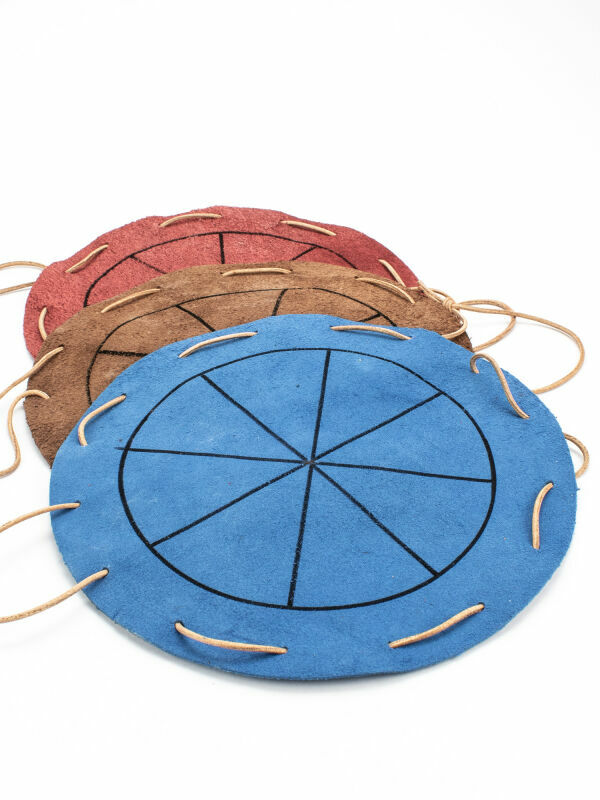 The Roman Three Mens Morris offers the advantage of having very easy rules, which are included as colorful instructions of this game found among the webpages of the Roman Shop category Museum Shop and Gift Ideas of the rubric Romans. To help you learn the rules quickly, the game is delivered with a detailed and easy to understand instructions. That way, this historical game is fit as a gift to children, as well as for fans of gaming or history. The game has a diameter of ca. 20 centimeters. It contains six gaming tokens which come in two colors. They are made from real marble. 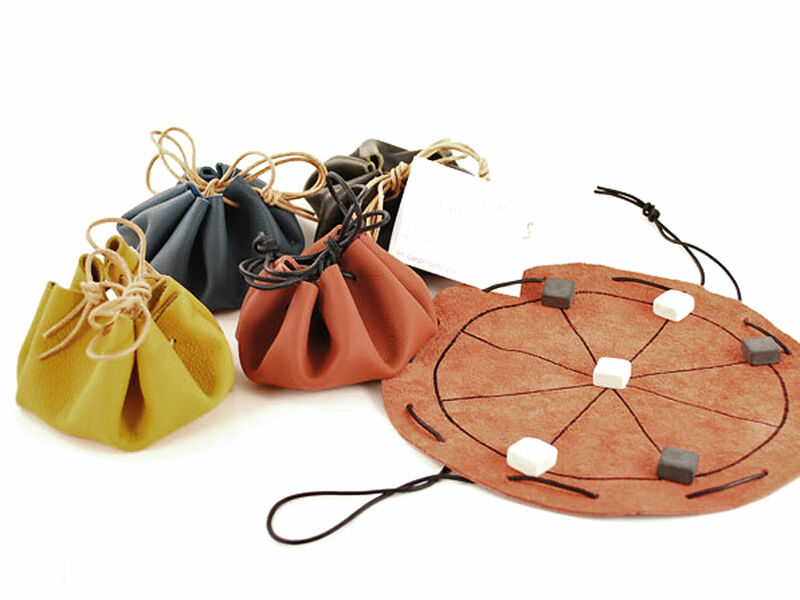 After playing, the Roman Three Mens Morris can be drawn together into a handy leather pouch, available in various colors. 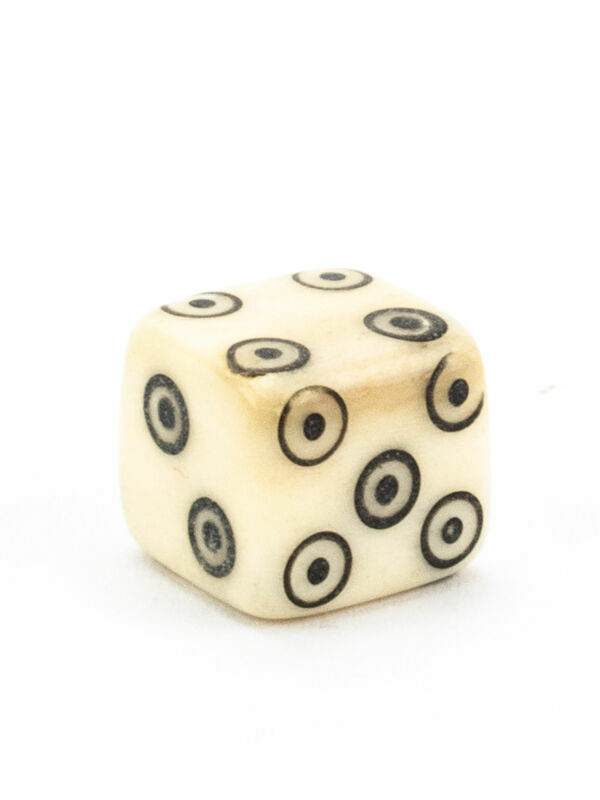 Not without reason did the Romans have a passion for games of dice (alea)! All walks of life were "infected" by the exciting game with six-eyed buddies, from the slave up to the emperor. The Romans played dice everywhere: during banquets, in thermae or taverns. Playing dice was always a loud and passionate event. Now you can be just as sociable when you play these antique games from the Roman Shop together with your friends. This classical mill game is one of the world?s oldest board games. 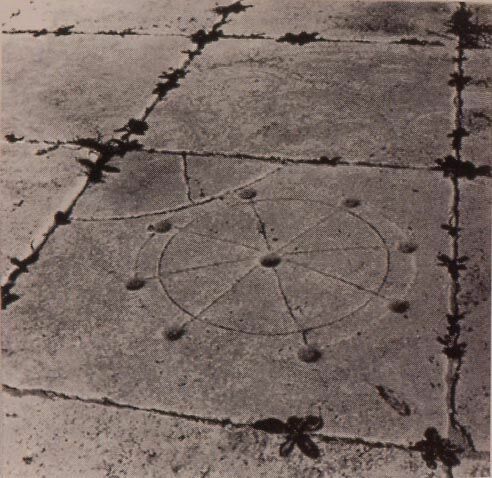 Although nowadays we know the game as the bigger Nine Men`s Morris on a steady board, the basics are the same placing- and movement systems are grounded on the concept with just one circle and only a few placing positions, ordered around a central point. Although this concept of Roman Three Men´s Morris is supposedly the oldest system, researchers question again and again, if the few present findings really show a game. The sources are contradicting each other. Archaeological findings of Three Men´s Morris are found, for example, as a chiseled gaming board on the stone stairs of the Basilica Julia in Rome. But this isnot really Roman Three Men´s Morris, but its rather a Nine Men´s Morris, called "Mola" in Latin. From the Palatine Chapel in Aachen we know an example for "Mola Rotunda", the round Three Men´s Morris. Aside from these mill games in stone, Roman findings show numerous gaming tokens made from a variety of materials, which are proof of the far spread nature of this game during antiquity. 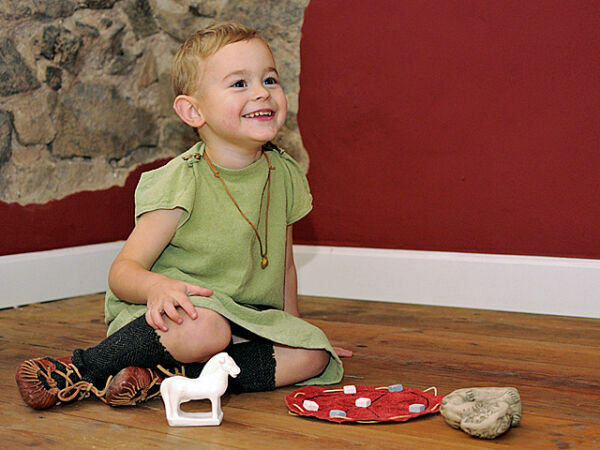 Several exhibitions dedicated to the topic "childhood in ancient Rome", like in the archaeological Museum of Frankfurt or the Historical Museum of the Pfalz in Speyer, mentioned and quoted the game often and here, too, they are deemed to be the oldest variation of this simple board game. It seems it was an established game and pastime of young people during the centuries before and after the beginning of the Common Era. What Does Archaeology Say Today? New findings speak against the thesis that Roman Three Men`s Morris has been played for 1800 years. Claudia-Maria Behling studied numerous round carvings at different sites of the Roman empire, which were deemed as evidence for Roman Three Men´s Morris and therefore as proof for the age and popularity of this mill game. While she interprets them as gaming boards, she doesn´t see them as a mill game, but as a completely different kind of game (you throw the tokens into the fields without touching the lines, which have different values). 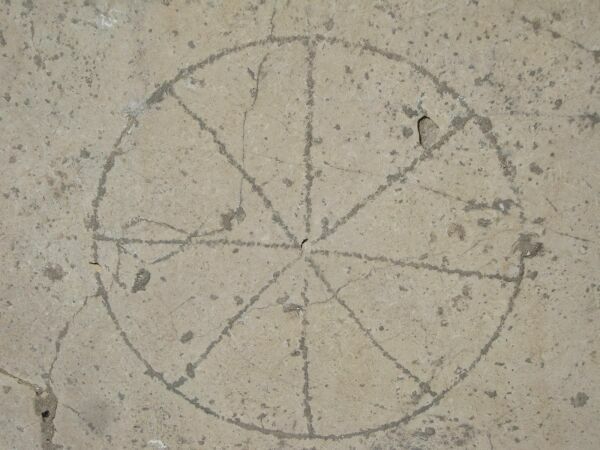 The mill game would therefore have existed in its complex form, the Mola of the Roman realm ? but the Mola rotunda, the Three Men´s Morris, never existed at that time. Florian Heimann also pays attention to the Roman Three Men´s Morris in one of his archaeological papers and sheds light on its complex research history. The modern gaming mechanism connected with it would have just been "invented" in 1918 by Carl Blümlein. Thanks to textual models of Ovid, Blümlein emphasized certain parts in his treatise "Bilder aus dem römisch-germanischen Kulturleben". In these parts Ovid described floor elements in buildings, from which Blümlein deducted that these textual passages, which were confusing to earlier researchers, were truly descriptions of the Three Men´s Morris boarding games. Thanks to the round Three Men´s Morris described, Blümlein reconstructed the gaming course of a mill game like the Mola rotunda and created basic rules, where he determined the number of tokens involved and the like. Its interesting that he took a mill game as a model ? since he was familiar with the modern version of this game. So far for the research the mill game is an accepted pastime of ancient children and youth and possibly even adults, but it is unknown if the Mola Rotunda really existed as a game. However, nobody has ever argued that it was a board game. 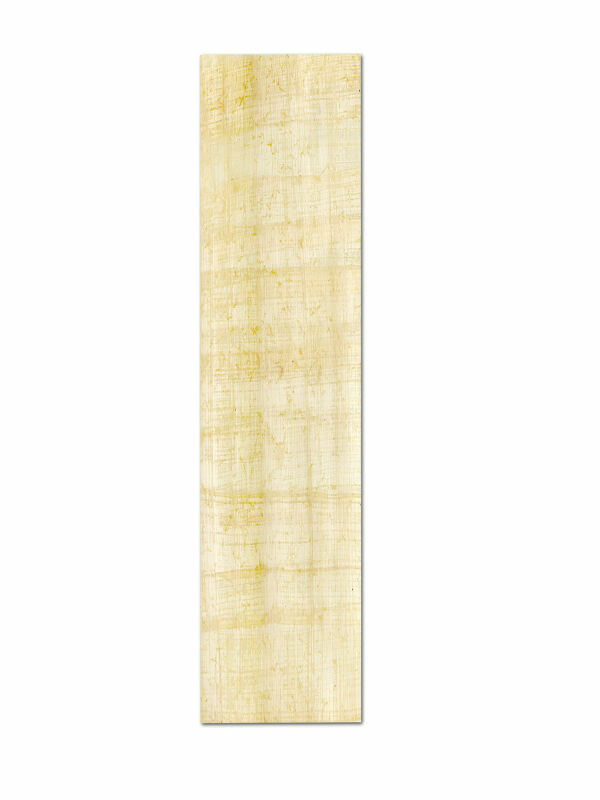 The Ovidian passages tell us, that after laying three tokens on the board, those should be connected in a row to win the game.